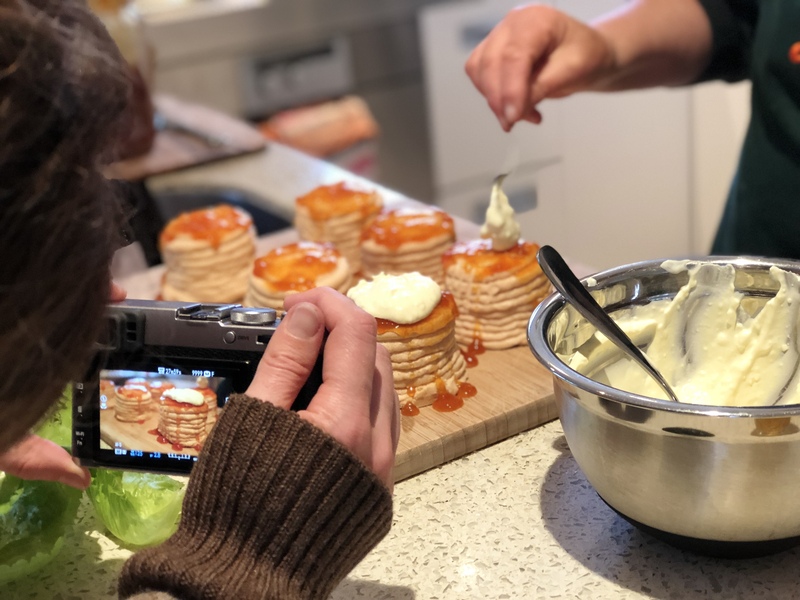 “Bring a plate” is a kiwi food sharing custom …and for those with great baking skills, an opportunity to shine in your community. When I grew up, most gatherings were catered by “bring a plate”. Tressle tables groaned with club sandwiches, sausage rolls, slices, pavlova and some gloriously high rise sponge cakes. My Mum would normally contribute something savoury as she knew she couldn’t compete on the sponge cake front. Besides, she would say “There’ll be too many sweet things and not enough savoury”. She was usually right. At a recent workplace birthday celebration we were all to “bring a plate”. I decided, like my Mum, I would contribute something savoury…. 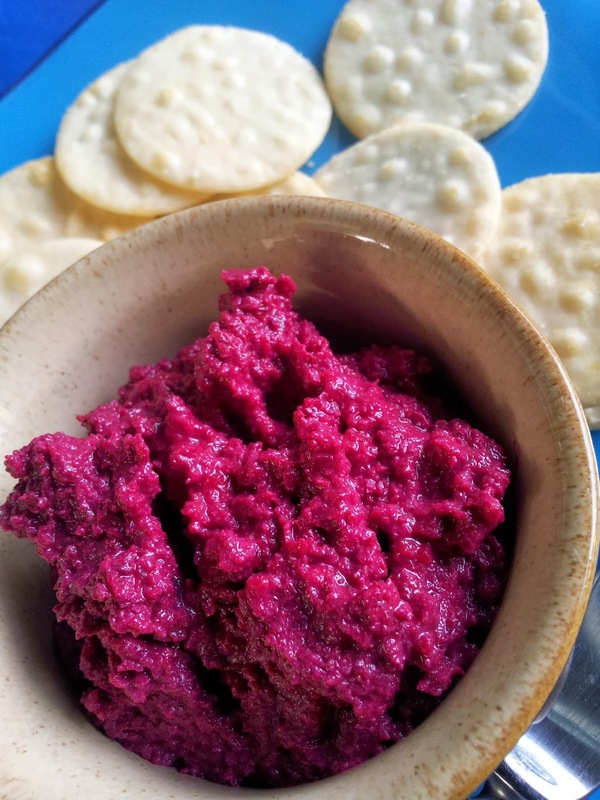 Beetroot and Walnut Hummus. To my delight and surprise the hummus disappeared faster than the cakes! 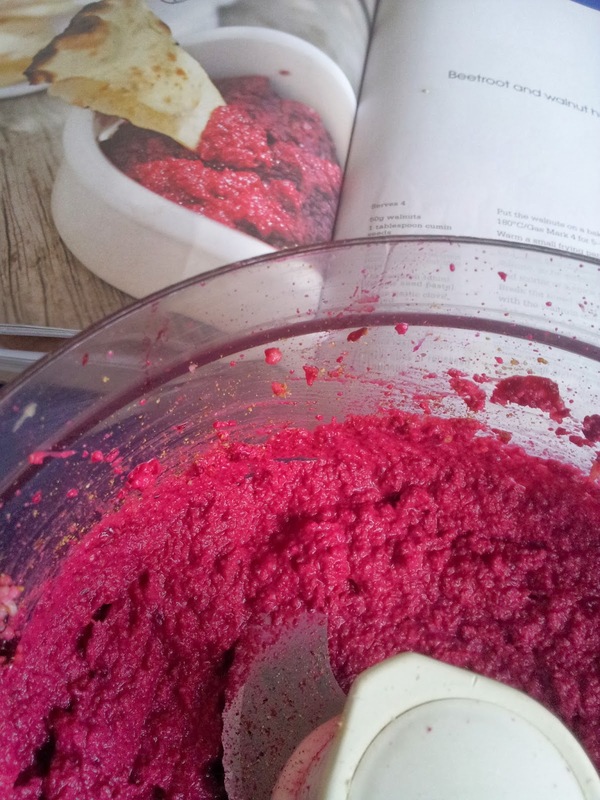 Its glorious colour and the earthy sweet taste of beetroot makes for a dip that is not at all “run of the mill”. The true test of it’s success…everyone wants the recipe. “Aside from their shared earthiness, beetroot and cumin couldnt be more different. 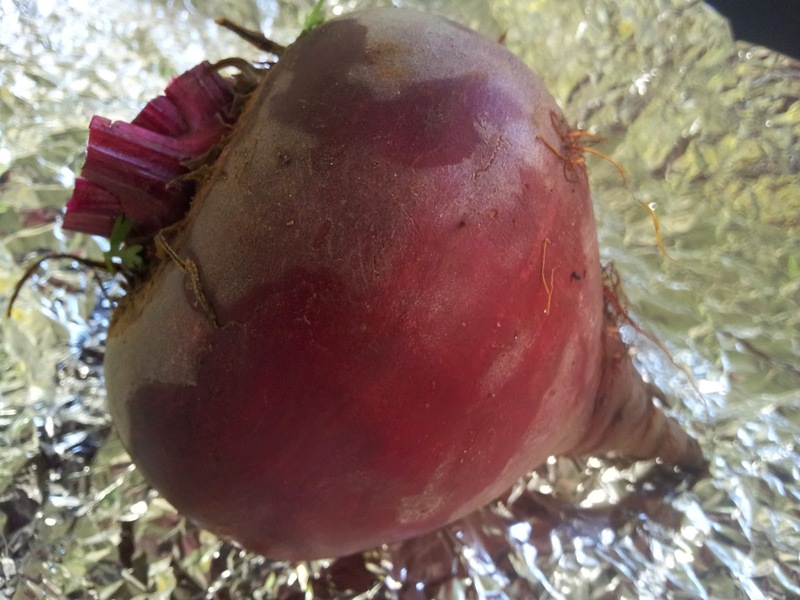 The sweetness of beetroot is enlivened by cumin’s smoky citric edge.” Niki Segnit “The Flavour Thesaurus”. Next toast 1 Tbsp of cumin seeds in a small frypan over medium heat. Shake the pan constantly until they begin to darken. A sign that they are done is the release of their aroma. It will take less than a minute. 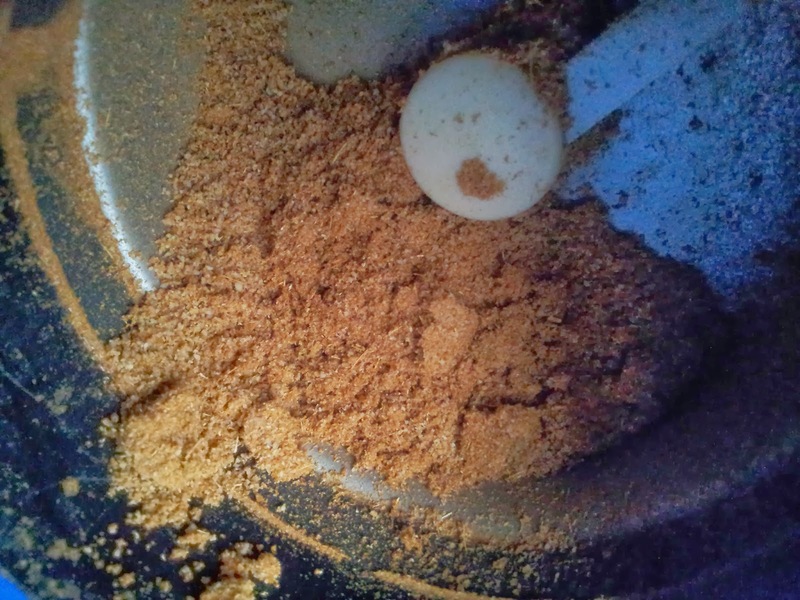 Crush the dry fried seeds with a mortar and pestle … or use a coffee grinder to make short work of it. You don’t need to roast your own seeds, you can just use ground cumin, but there is nothing quite like freshly ground cumin and a little extra effort will reward you with extra flavour. I didn’t have any old bread so I tried using couscous instead and it worked really well. I used 2 Tbsp of dry couscous and added enough boiling water to allow it to expand and soften. If you put in too much water just drain before adding. 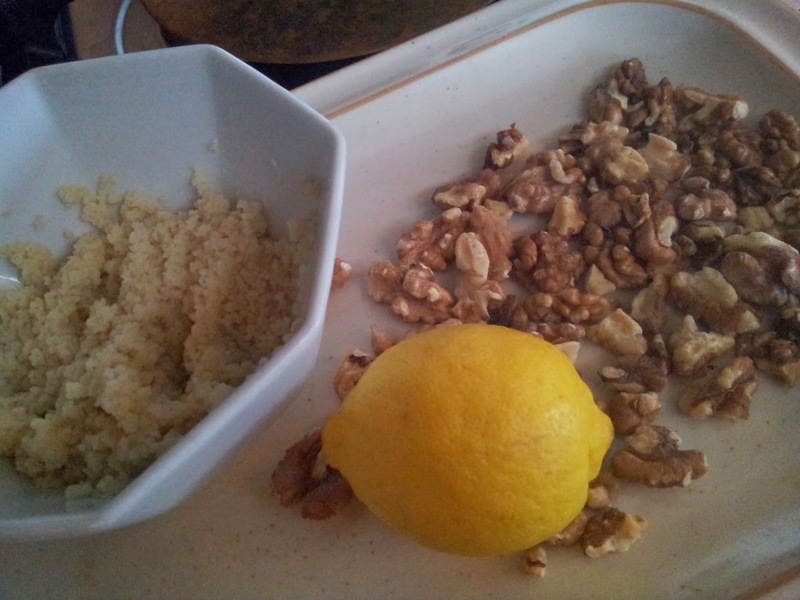 I didnt put couscous in with the walnuts but later when I added the beetroot. 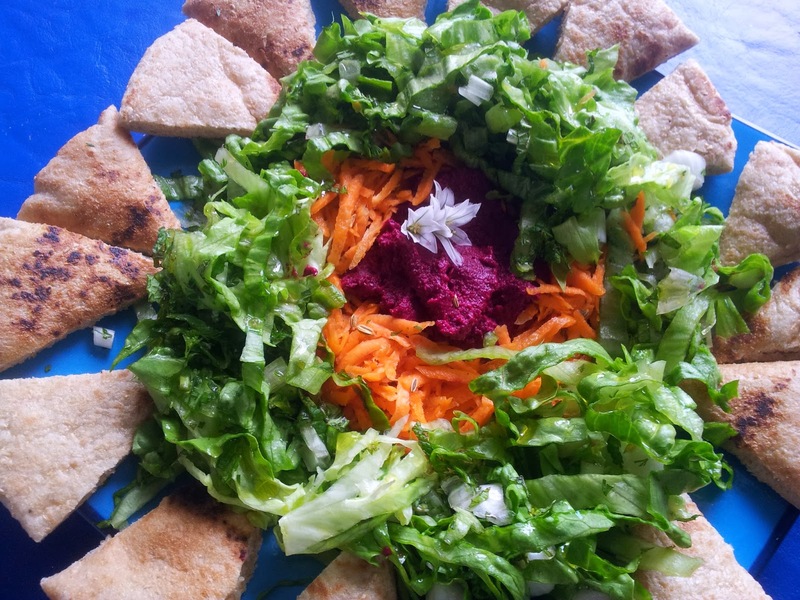 For a gluten free beetroot hummus, use some cooked rice or quinoa – or perhaps a few chickpeas. The bread or couscous is simply used as a thickener. When I decided to “bring a plate” of Beetroot and Walnut Hummus to the office birthday morning tea, I didn’t realise that both beetroot and walnuts are good for the brain. Nor did I know that beetroot increases stamina and walnuts relieve fatigue. All good things to offer my office colleagues on a plate… and a great alternative to the many cup cakes and slices on offer. To my horror one of the six reasons is …sitting increases the size of your bottom!